My love of this author’s work started with the book “Standing for Socks”. I read this when I was a Middle Grades judge for Cybils in 2009. I have read her Nerd Camp Books and loved them as well. I had no thoughts of not liking this book. As I thought, I loved it. 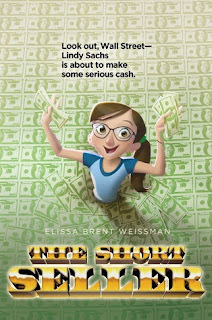 Lindy Sachs, the main character of the book is a very lovable character. Lindy is like so many people, including myself, who struggled with math in school. When she comes down with mononucleosis and must stay home from school she is bored. Her parents hire a tutor for her so she doesn’t get further behind in her least favorite subject. She does a favor for her dad by helping him purchase some stock, since he can’t access the site from work. As he explains it to her she becomes interested enough that he fronts her one hundred dollars to buy and sell stock on her own. She becomes even more interested when she learns her new tutor used to be a trader. They have that in common. She begins to understand math better the more she works the market. 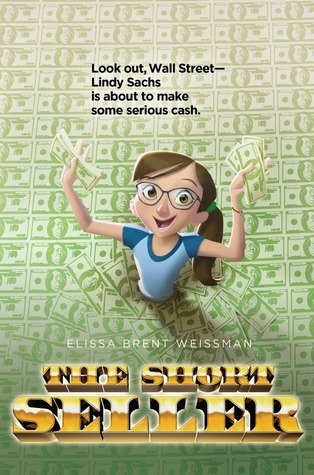 Like others who have found that a little bit of money isn’t enough, Lindy falls into that trap. One wrong move in the stock market, one bad and illegal decision has both her and her father in hot water. I really can’t wait for my students to get their hands on this book. It is fun, funny, and full of enough adventure to keep you on the edge of your seat reading until the end. Once again I highly recommend this book to young and old alike.